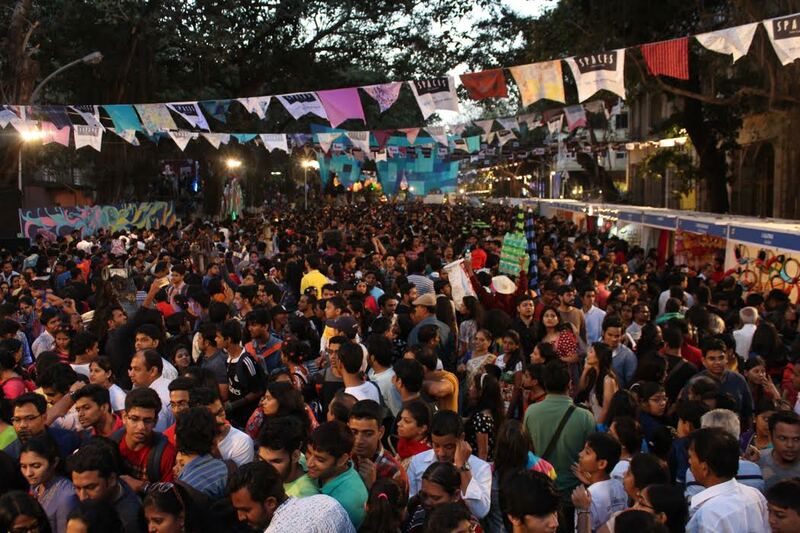 The closing weekend of KGAF saw a ton of activity and also boasted of record number of people visiting the festival. With the Make in India frenzy and fever in the air, the music, dance and even workshops section was buzzing with activity and celeb faces who came to either perform or conduct interesting workshops at Kala Ghoda this year. Maria Goretti enthralled the audience with her warm nature as she taught them how to bake the perfect orange cake, home made gnocchi with pesto and even how to launch their own book like she has aptly tilted “From my kitchen to yours.” Chef Vicky Ratnani hosted a heritage walk with Living Foodz as he taught his audience the social influences determined by communities characterized by food and its translation to the architectural tangible forms paving its way towards Mumbai being the “Melting pot” of food and culture. Ace celebrity chef dazzled his crowd with recipes from his mother’s cookbook and more! And just for the kids at KGAF, Zeba Kohli hosted a chocolate Fantasie workshop that was brought to life with fun and theatre and chocolate! The music section which took place at a packed asiatic steps saw Vir Das’ Alien Chutney which was a comedy rock musical that KGAF has never seen before. Followed by the gorgeous Shibhani Kashyap to her classic bollywood tunes like “Sajna Aa Bhi Jaa” and her newly released single for Valentine’s Day. After this came Karsh Kale who is an Indian American musician, producer and composer, and is considered one of the pioneering figures in defining the Asian Underground genre by mixing disparate genres of music such as Indian classical and folk with electronica, rock, pop and ambient music had the crowd screaming for an encore!